The second of two posts running down new fall shows on my schedule. Catch up with part one. 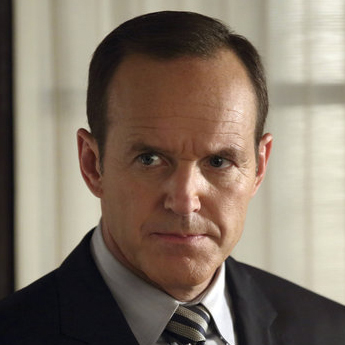 SHIELD Agent Phil Coulson played by Clark Gregg. Every few years I pull out my old comic book collection from the early 90s and re-realize I outgrew them. It took the first half of the Agents of S.H.I.E.L.D pilot for me to re-re-realize it. I didn’t think it was bad. It just wasn’t for me. After hearing good things about it on social media I gave it a second look. It is actually not too bad. Yes, it’s very comic book-ie, but it seems to do it well. I have even less familiarity with the Marvel universe than I do the headless horseman of Sleepy Hollow so most of the mythology goes over my head. Otherwise it’s clean, simple fun. The yearly telenovela from FX normally gets its own treatment but until it proves it can match its first season it will stay here with crap like Brooklyn Nine-Nine. Season one was a fantastic mix of acting and demented storytelling. Dylan McDermot and Connie Britton left for other projects (Nashville and, now, Hostages, respectively). Jessica Lange and Evan Peters stayed to be joined by Sarah Paulson, Lily Rabe and James Cromwell in season two but they couldn’t rekindle the magic. The scene in season one when Britton and McDermit’s daugther, played by Taissa Farmiga, tried running away but only ended up running in circles into and out of the house because she was dead remains one of my favorite scenes in any show. AHS didn’t come close to that level in season two. Nor has it so far in season three. Lange and Paulson continue to star as witches at a coven in New Orleans. Farmiga is the latest young witch to be taken in by the group. Peters takes on the role of a frat boy killed in a bus accident and sewn back together in a scene so amateur hour that it felt like an after school special on the Hallmark Channel. None of the new story is interesting. Jessica Lange was gold in season one but seems to have only played diluted versions of the same character since then. The Harmon’s haunted house featured a dead maid trying to seduce Dylan McDermot; the coven in season three was stormed by zombies. Maybe it’s time we all admit season one was as good as it’s going to get. Falling for Criminal Minds forced me to question everything about my post-Lost television snobbery. Falling for a couple of sitcoms this fall is personally shocking but I don’t feel the least bit guilty about it. You’re always allowed to enjoy funny. You’ll always have me at Allison Janney and Anna Frris, I will say that upfront. Faris got pregnant as a teenager with her daughter who is now, you guessed it, a pregnant teenager. Janney was a terrible mother who drank, ran drugs and gave her daughter several potential stepfathers. This makes the humor quite a bit more adult than I was expecting on a primetime network, but I’ll take it. A little sanitized dirty humor never hurt anybody. Beyond the laughs — I can’t believe I’m going to say this — I. Like. The. Story. Of. This. Sit. Com. And. I. Care. A. Bout. The. Charac. Ters. Faris wants to be a better mom for her kids than she had and gets sympathy when her pregnant daughter turns to Janney for support. Janney, in turn, sees that she can be as a grandmother what she never was as a mother. It’s all very nice and the timing between Lanney and Faris is perfect. Despite being mostly panned before its premiere CBS picked up Mom for a full season. The melded family ensemble show works as well as its kids, and Trophy Wife has good kids. Two teenagers from Bradley Whitford’s first marriage are as funny and awkward as you’d expect them to be. His adopted son with his second wife is the overly-smart provocateur who tends to speak Yiddish. The wives are stereotypical and Whitford’s new wife, Malin Akerman, is trying to make herself look legitimate in everyone’s eyes after meeting him in a bar. That isn’t the most rousing summary of a good show but the adults are good and the writers let the kids do their thing. Akerman downs a water bottle full of vodka to cover for the teenage girl in one episode and gives the adopted boy an iced coffee in another after letting him stay up all night. In one episode they learn the oldest daughter is hooking up with “Ace McBrady” and confront her about it in a party scene that had me on the floor. ABC released the pilot online weeks before it aired and critics like it. You can jump in at anytime without missing a beat.